Paavo Nurmi, Finland’s most successful athlete of all time, lived in an apartment at Jarrumiehenkatu in Turku for almost 30 years. The apartment is today a home museum furnished by the Sports Museum of Finland in 1920’s style. Paavo’s father Johan Nurmi bought the small apartment of one room and a kitchen in a working class district in 1903. When he died, mother Matilda had to rent the kitchen out to another family. 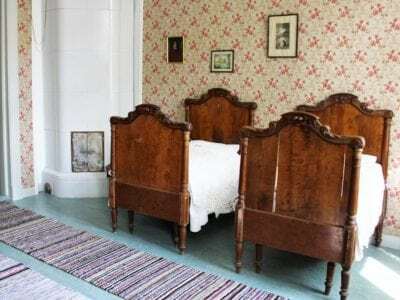 She lived with her four children in the remaining room until the year 1920, when the Nurmis could repossess the entire apartment after Paavo had won his first Olympic gold medals in Antwerp. At the same time the apartment was equipped with electricity, running water and new furniture. In the early 1920’s Paavo Nurmi studied in Helsinki but he still kept the family apartment as his regular address. He finally moved out when he got married in 1932. Open for public on Paavo Nurmi’s birthdays, 13 June; at other times by special arrangement only.